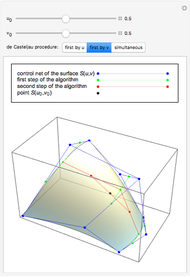 This Demonstration shows three different ways of applying the de Casteljau algorithm to a tensor-product Bézier surface. 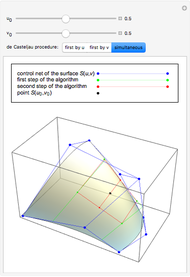 , where are the control points of ; they form the control net of . 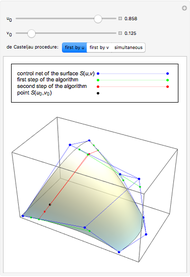 If , the above procedure is applied in order to calculate for to , and next the direction method is used to compute the remaining iteration levels. The case is treated analogously. 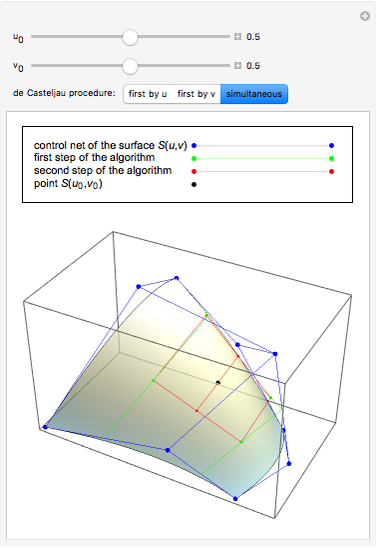 Isabelle Cattiaux-Huillard "de Casteljau Algorithm for a Tensor-Product Bézier Surface"